This piece is probably going to please precisely no one. These thoughts are not based on any knowledge of how the campaigns are being run and what their strategies are – because I don’t know. Nor is it based on my own preferences because I remain a floating voter. Any thoughts around numbers and transfers are not based on any canvass returns but on my sense of the campaigns and their pitches and the party I have been a member of for 25 years. These are a few hastily sketched out thoughts as to how I think the campaigns are shaping up and where I would take them next. They may well be contradictory – as they should as in each scenario, a different candidate wins. I am by no means claiming they are at all the only way for each candidate to win. Just my thoughts on how they could and what the challenges they face to doing so are. There is quite a strong focus on second preference swaps. I think this is the area that has been much missed as we look at the strengths and weaknesses of each of the candidates, but as anyone who worked on either Miliband campaign five years ago will tell you – they can make all the difference. I don’t see any candidate getting 50% + 1 of the vote on the first round, so second preferences become vital. I am sure you will have very different ideas about how it can, will and should pan out. But here’s how I think each of the candidates can win the Labour leadership. 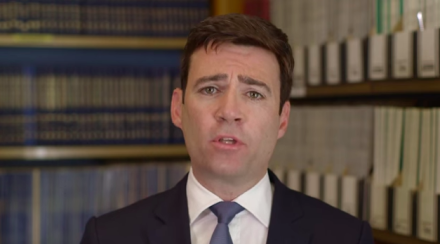 Andy Burnham is currently the front runner and likely to get the most first preference votes. In a recent study of Party members by Professor Tim Bale he came out top – quite far above the other currently running candidates. Being the front runner is a nice place to be but can be precarious. Nothing can be taken for granted and Andy is not far enough ahead to either take the race for granted or run an inevitability strategy. Following the Nuneaton debates and the final exchange between Liz Kendall and Andy Burnham (Andy answered the question about Party leadership perfectly reasonably – Liz saw an opportunity too good to pass up to get in her pitch and went for it) Andy’s team have been gunning for Liz (and I’m sure vice versa). Of the three more centre ground competitors they are the caricatured as representing the two key poles of the Party – the soft left and the Blairite right. But I think Andy’s team need to think more about the threat that Yvette Cooper poses to them and the threat and opportunity that Jeremy Corbyn’s inclusion in the race brings them. It is my guess that if Jeremy comes bottom of the poll, his votes will largely transfer to Andy. Those who are voting for Jeremy will be those who have opted for the most left wing candidate so are likely to rank their preferences in that perceived order. There will be a few of those who will want to give a woman their second preference (from which expect Yvette to benefit more than Liz), but most having chosen a man at the top are unlikely to have this as their key consideration. Will these votes combined make up the winning number and get them over the line? If not then Andy’s team face a dilemma. Because it is my sense, that they will benefit more from the second preferences of Yvette’s voters. Put starkly, if Liz comes third, I think Yvette will win. If Yvette comes third then I see her preferences splitting more evenly between between Andy and Liz giving him enough support to beat Yvette. So Andy’s team have a dilema. Within the spectrum of Labour politics, Kendall is his obvious target. But if she is heavily defeated, this may be more harmful to him than her putting in a good showing. His team should be finding a way both to attract Kendall’s voters and to highlight what they see as Yvette’s weaknesses. Andy needs to continue his pitch to Labour’s sensible heart. He’s very popular in the Party and it seems the country more generally sees him as a good leader. He will need to shake off the sense that he’s staying in Labours’ comfort zone with a few robust and key challenges on policies. Expect to see something along these lines in the coming few weeks. Andy may be in the lead, but many who understand the new system for electing the Labour leader believe that Yvette may well be the favourite. Her pitch of being the experienced pair of hands may well be out of the losing play book of Hilary Clinton’s 2008 campaign, but Clinton never had to take second preferences into account and I can see Yvette absolutely sweeping these up if she can stay at the top of the race. if she can get herself into the top two, I believe she is most likely to win. As such, I think Yvette has a different challenge to Andy and Liz. As many supporters see her as the acceptable second choice, she could fall behind if the race becomes a polarised one split between two wings of a quite divided party. As Tim Bale’s research has shown, party unity is not the aspect that members are looking for. Even her strong leadership pitch falls behind Party members desire for a leader with strong beliefs. Yvette is potentially risking her first preference vote with her pitch to the centre of the Party. 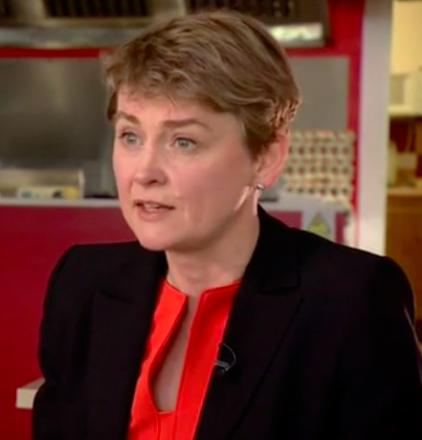 Yvette so far has shown herself to be a likeable candidate and a strong performer. Her stances on both immigration and welfare were strong at the Nuneaton hustings and won plaudits for pitching but not pandering to where the country and voters are perceived to be. But she will need to build on that momentum to ensure she stays a strong voice in the race. So unlike Andy and Liz, she needs to define herself more rather than less clearly and as well as showing strength and leadership, needs to also show courage and conviction. While halfway between the two other stalls is a good placed to lead from, it is not necessarily the best place to compete from. But if Yvette can bring out a few really big policy surprises – ones that move Labour on from our years in government rather than just replicating the best of it, then she will remain the contender to watch. Jeremy Corbyn is a passionate and principled man. I do not agree with every stance he takes (which – frankly – is true of all the candidates) but I admire his conviction. An ideal world would work in many of the ways Jeremy thinks they should. However this is not an ideal world. I am not convinced that Jeremy is currently running a campaign to win the leadership. He didn’t really talk as such at the first televised hustings. But I think he has an outside chance and here’s why. People are disillusioned with politics and politics as usual. Labour Party members are no different. Yes, we haven’t gone off to vote for Green or UKIP as many of our contemporaries have, but do not mistake our loyalty for contentment. With the abandonment of the electoral college the PLP have now lost their power to hold the considerable sway they did over the last contest. They chose to put Jeremy on the ballot and that was the last choice they made in this contest more powerful than that of ordinary members. Jeremy was put into the race to shake it up and to have the debate. A lot of what he says will chime in the hearts of Labour members. We are sentimental about our past and worried about our present and future. A pitch from Jeremy that asks the membership to send a message to team politics could be a very popular one. It could be enough on the day to knock out at least one other candidate. If so, it’s perfectly possible that an electorate that has repeatedly been told that Jeremy can’t win will put him second on the ballot behind their more compromising candidate as an indication of the strength of their dismay at the shape of modern politics and the modern party. If I were in Team Jeremy, I would be making that pitch for those second preferences strong and explicit. In the meantime, let Jeremy be Jeremy. 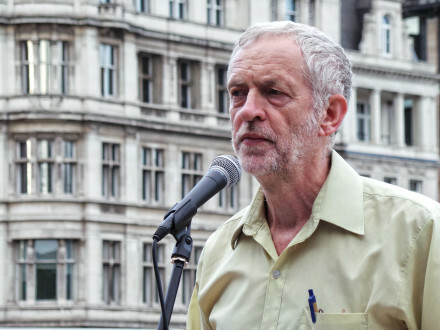 His passions will serve him well and in a race that – while consuming large parts of SW1 hasn’t really yet taken off among the wider membership – a depressed turnout could see Jeremy doing considerably better than expected. 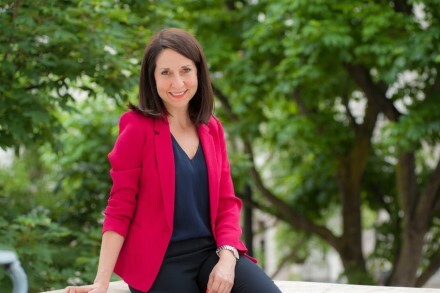 Liz Kendall’s biggest challenge is that her most fanatical supporters and most virulent detractors are both determined to confine her to the same restrictive Blairite label that will see her do well but not quite well enough in this type of contest. Her message of uncomfortable challenge to the Party is the right one for her candidature, but it must also have a vision not just of where Labour went wrong over the last five years but also of what Labour is for in an era of restricted spending. Economic credibility is vital and all candidates will have to take this on. Liz has done so and bravely. But she must also offer a vision of hope. A divided race where these battles between two wings of the Party suits Liz. If the choice becomes plainly between her and Andy then Labour will be forced into harder decisions about its future direction than it would be under a straight fight between Andy and Yvette. And Liz has shown she has the courage to take her moments and be tested. But at the moment it is too easy to paint Liz as “against” things Labour members really care about rather than accepting the electoral reality of where the Party needs to be. Liz’s clear strategy is to convince the Party that she is the only one who can win in the country and that they should accept that to do so, they must be willing to accept a certain amount of compromise to bring in the policies we all agree on. But to make that argument, Liz must convince enough of this electorate that she does care – and deeply – about enough of the things they prioritise. That she makes these compromises because the bigger goals are what matters. If she can do that, and if she can bring the race alive enough to make it between her and Andy, she could scoop up enough second preferences to get her to the top. It’s a contest that has not yet come alive for most people. It’s a contest with a long way to go. But it is a contest that is starting to take shape. When we see a winner returned, I will return to this piece to see if I was right in how they inevitably did it! Emma Burnell is a writer and a communications and campaigning professional. She sits on the Execs of Labour Women's Network and Labour Housing Group. She represents the Socialist Societies on Labour's National Policy Forum.